vacancies for the posts of Executive Engineer and Deputy Engineer in several categories in the same state. Duly checked Online Application Form is invited from interested applicants with relevant documents scanned copies on or before final date. Participants who are having engineering degree in required stream they must go through the official website of this corporation to apply for Executive Engineer, Deputy Engineer 20 Jobs. Impactful job seekers are advised to keep preparing to pass written exam. Before apply you are advised to check skills then proceed further. The exam will be commenced on given date but to beat it prepare since today. 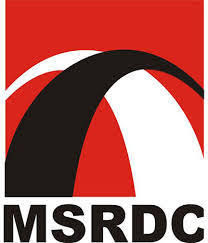 Important lines showing applying eligibility for MSRDC Recruitment are declared below by the team members of ejobhub for the visitors of this portal. Appliers at first must read about this post and then submit checked form on or before closing date. New advertisements of government jobs in Maharashtra will be scheduled here for all applicants but only in the official website of this MSRDC that is www.msrdc.org. Now you can apply for a new chance of career. For other sector jobs stay tuned with this portal. All the best!! Executive Engineer - Degree in Civil Engineering in First Class and should also possess post graduate specialization degree from a recognised University in Transportation / Structural/ Bridges/ Highways or in a subject relevant to the Corporation. Age Limit: The age of awaited Indian nationals should be between 21 years to 38 years. Relaxation in age will be applicable for reserved category candidates as per the norms of GOI. Recruitment Process: After shortlist the application as per last date limit, selection of appliers will be made on basis of performance in written Examination, interview and Document verification. On the homepage, go to ‘NEWS’ section.